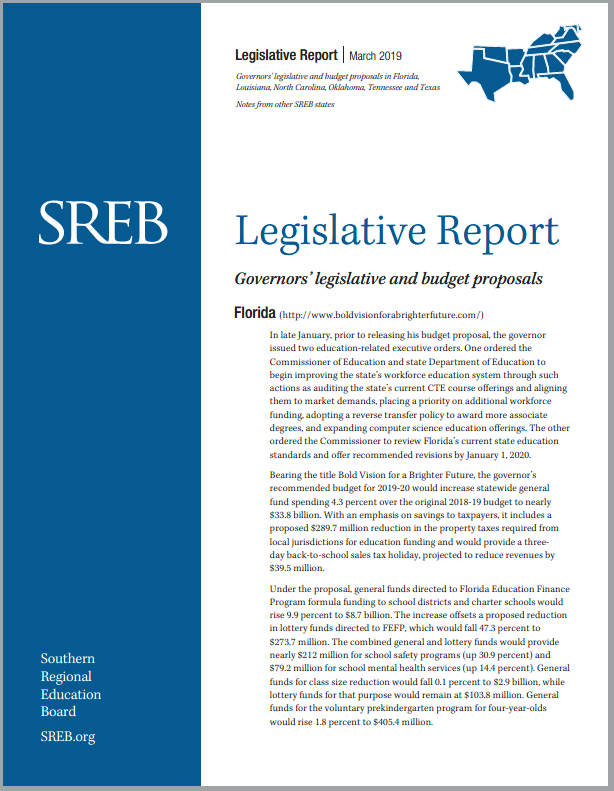 Governors’ legislative and budget proposals in Florida, Louisiana, North Carolina, Oklahoma, Tennessee and Texas. 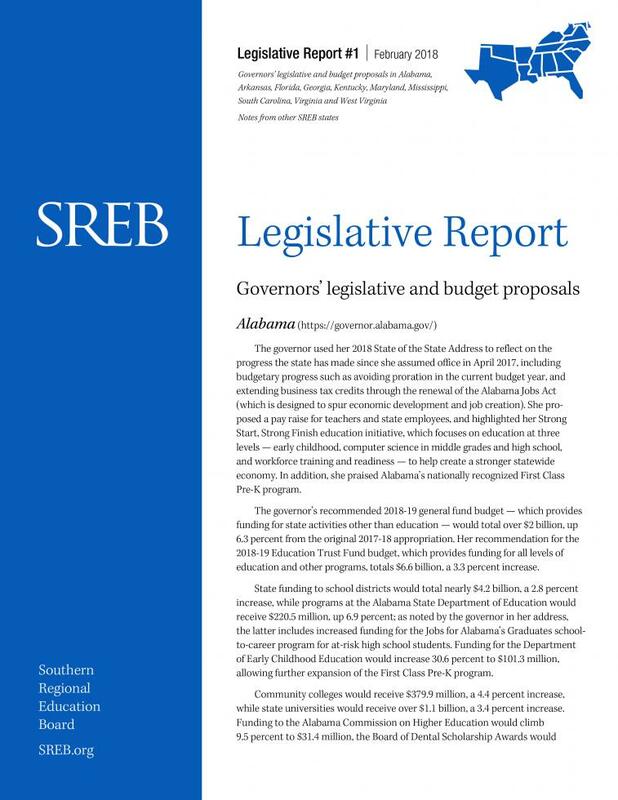 Notes from other SREB states. 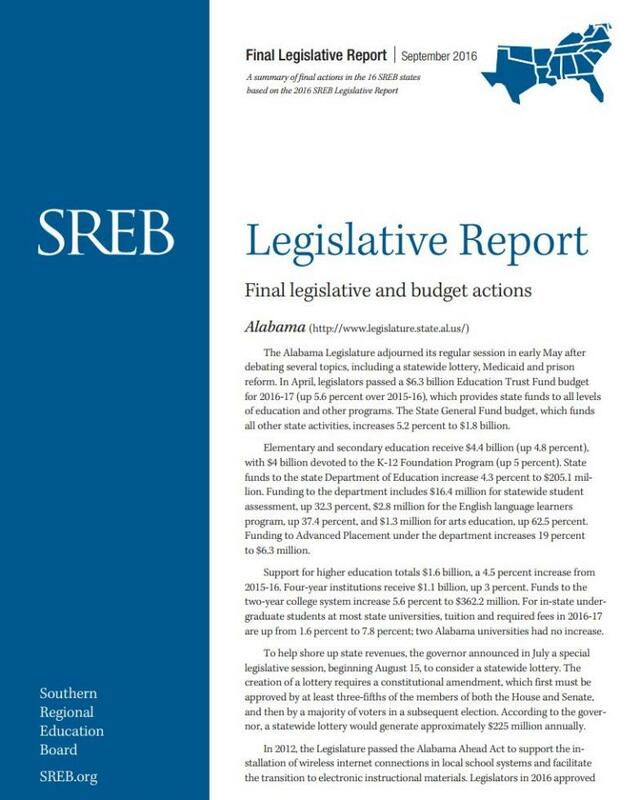 Teacher salaries are in the news, and we’ve been getting some questions about what actions SREB states are taking during this year’s legislative sessions. Here are proposals so far in 2019. Bonus: 2018 actions. 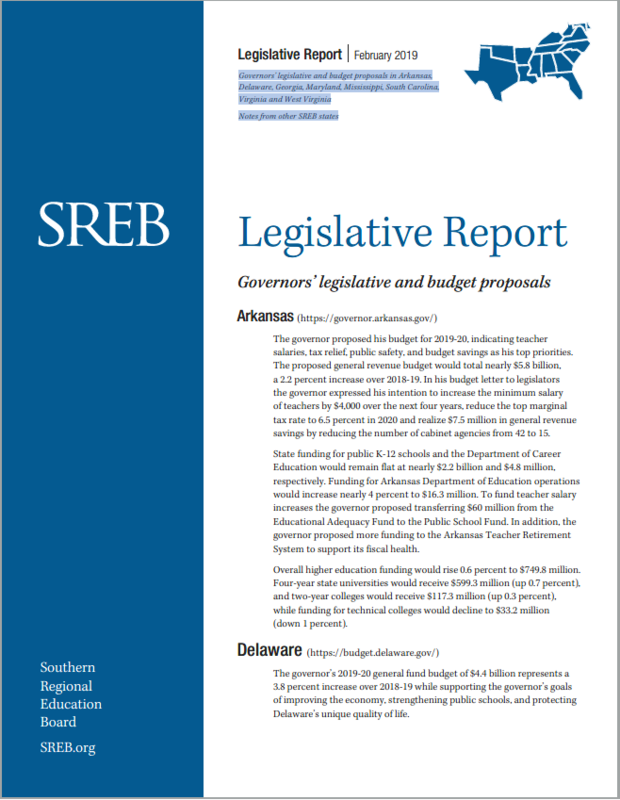 Governors’ legislative and budget proposals in Arkansas, Delaware, Georgia, Maryland, Mississippi, South Carolina, Virginia and West Virginia. Notes from other SREB states. 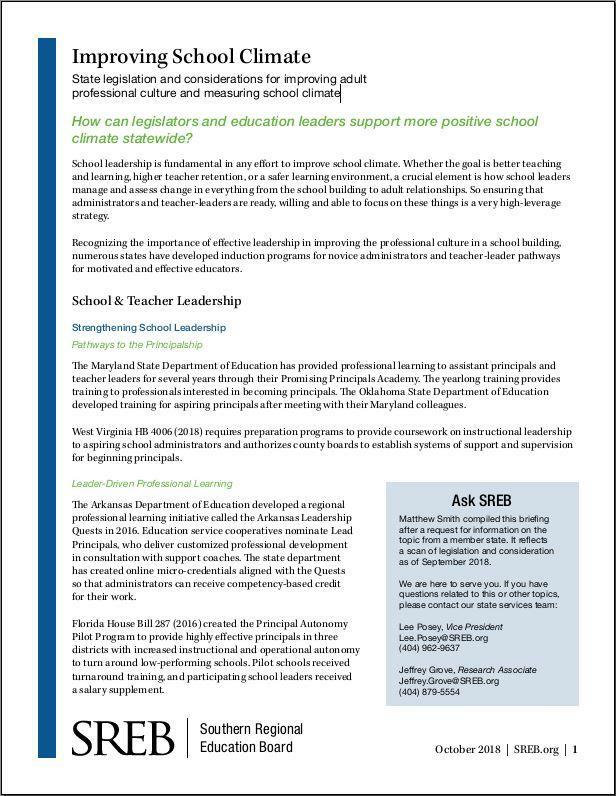 This publication includes information on state legislation and considerations for improving adult professional culture and measuring school climate. A summary of final legislative and budget actions in 2018 across the 16 SREB states. 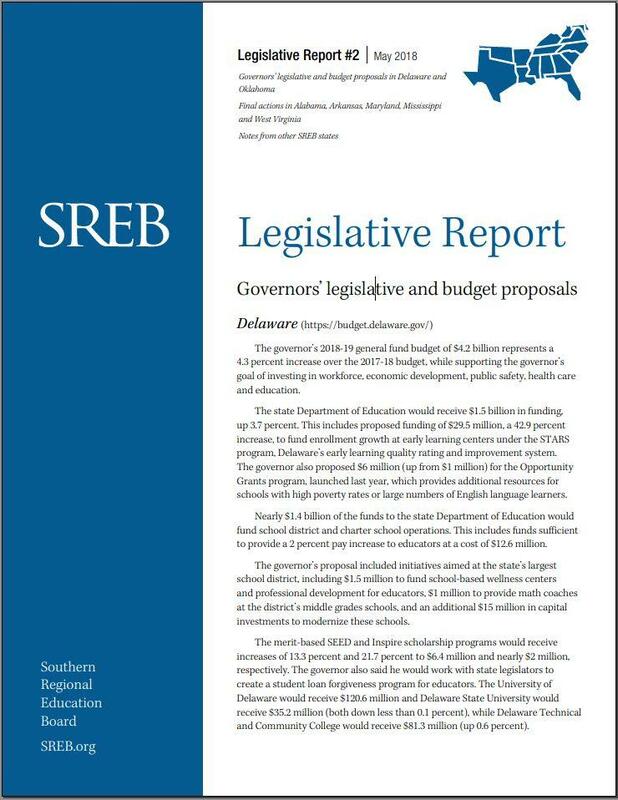 Governors’ legislative and budget proposals in Delaware and Oklahoma. Final actions in Alabama, Arkansas, Maryland, Mississippi and West Virginia. 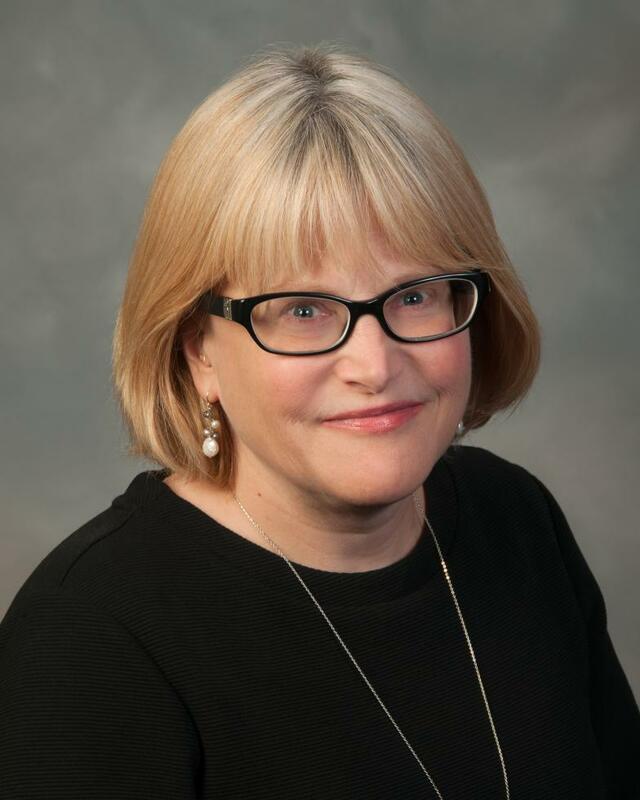 Notes from other SREB states. 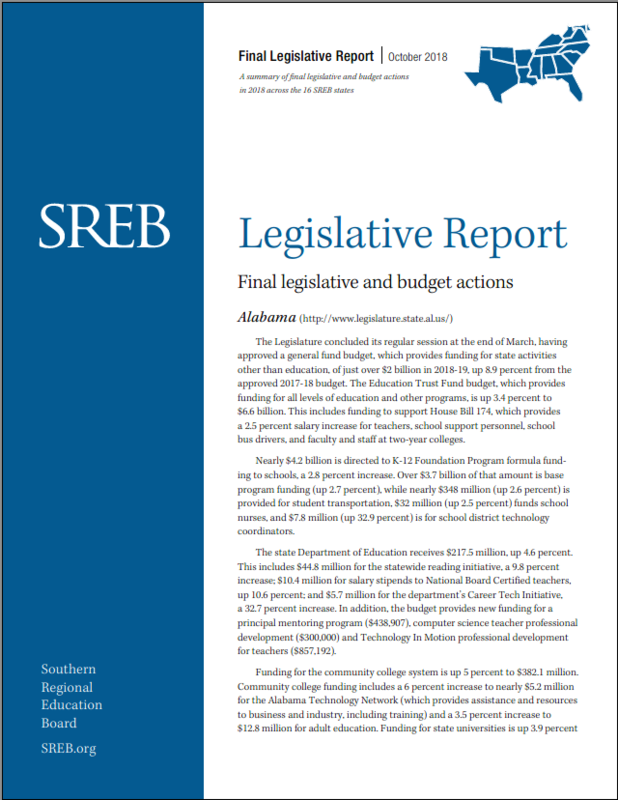 Governors’ legislative and budget proposals in Alabama, Arkansas, Florida, Georgia, Kentucky, Maryland, Mississippi, South Carolina, Virginia and West Virginia. 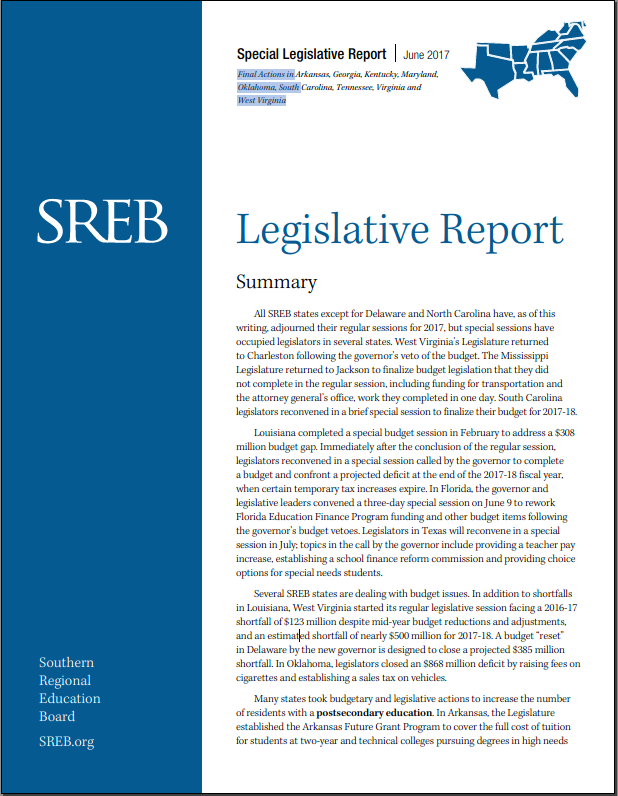 Notes from other SREB states. 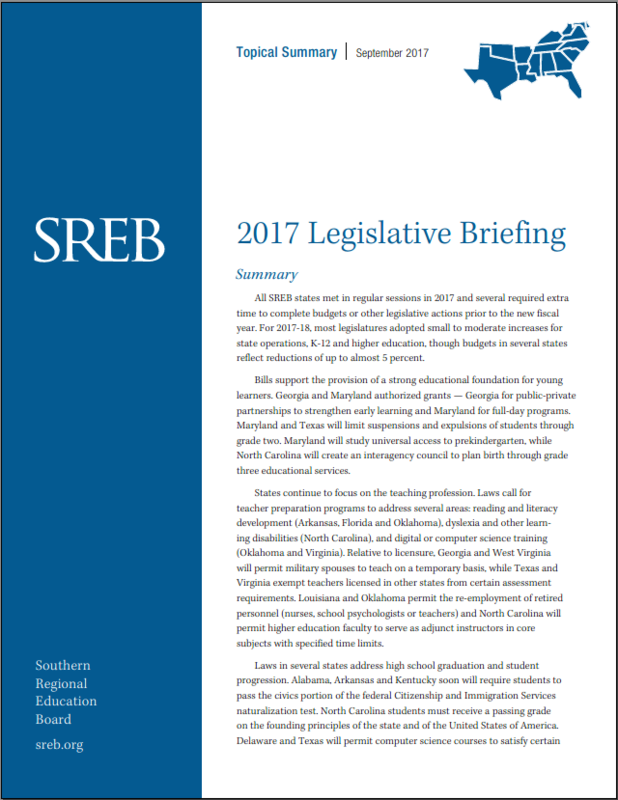 Topical summary of 2017 legislative actions in SREB states. 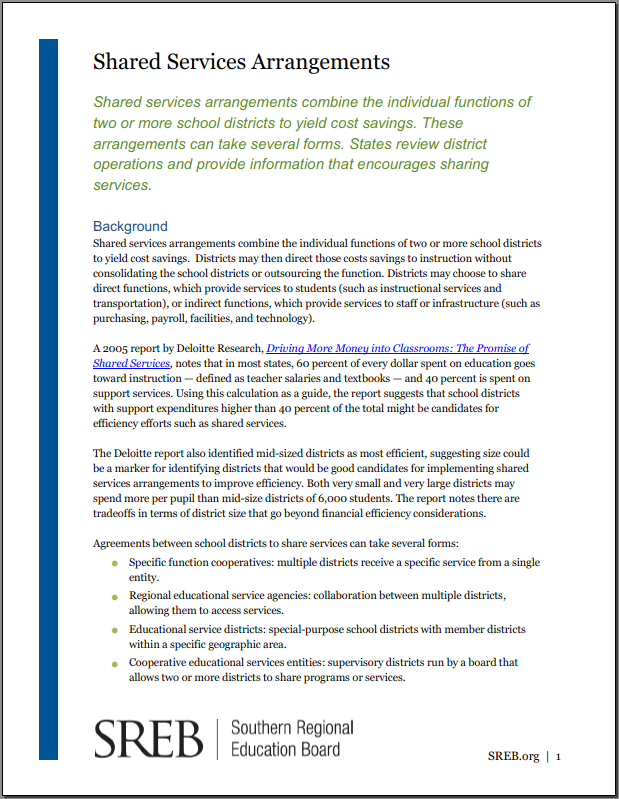 Some school districts may opt to share superintendents, particularly in tough financial times. 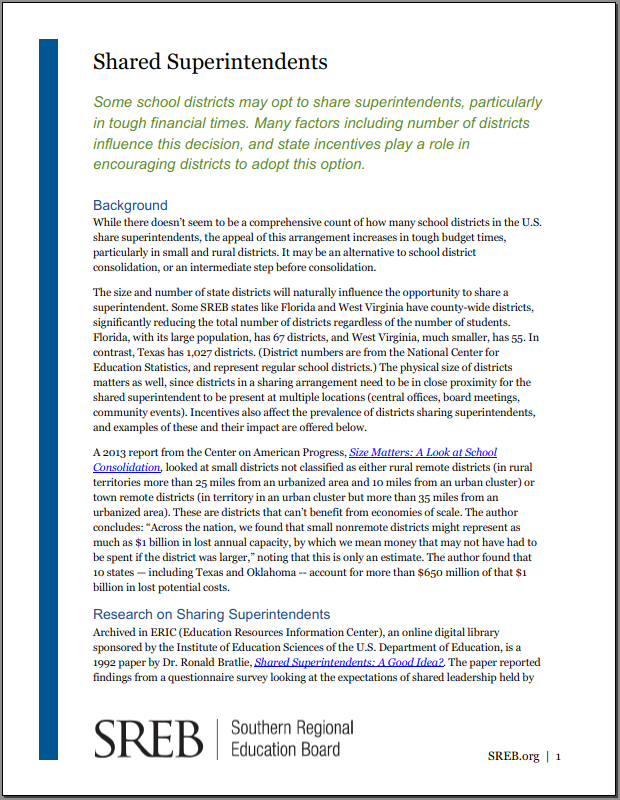 Factors including number of districts influence this decision, and state incentives play a role in encouraging districts to adopt the option. Final actions in Alabama, Delaware, Florida, Louisiana, Mississippi, North Carolina, Oklahoma, South Carolina, Tennessee and Texas. 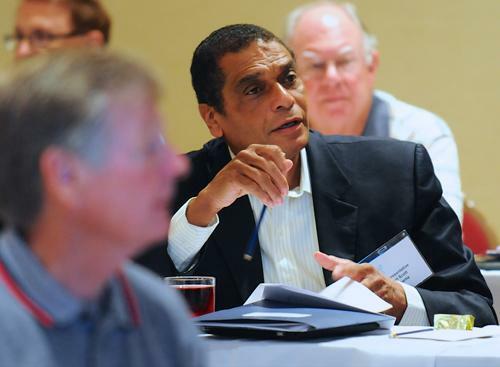 Notes from other SREB states. 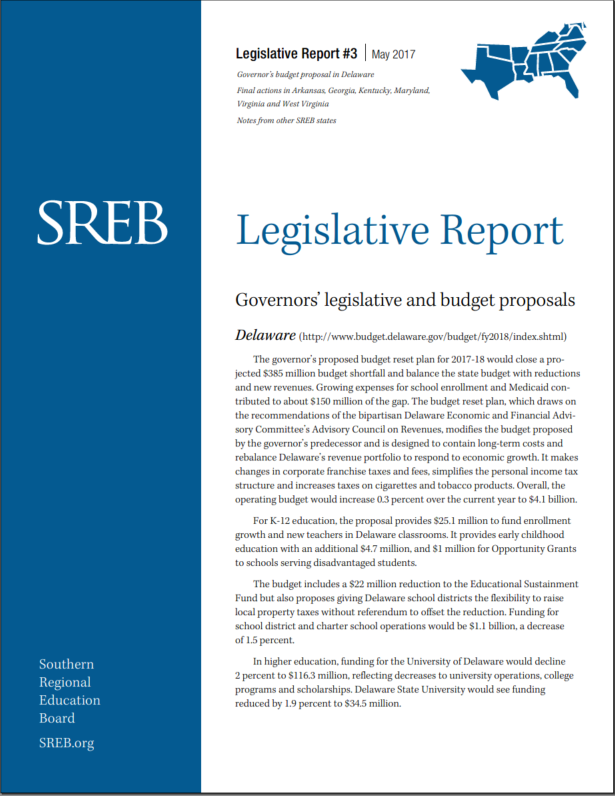 Governor’s budget proposal in Delaware. Final actions in Arkansas, Georgia, Kentucky, Maryland, Virginia and West Virginia. 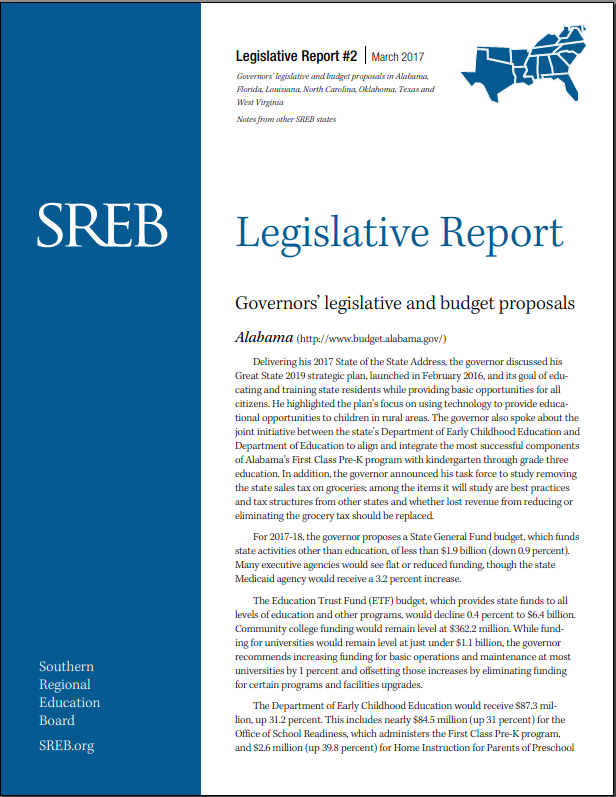 Governors’ legislative and budget proposals in Alabama, Florida, Louisiana, North Carolina, Oklahoma, Texas and West Virginia. 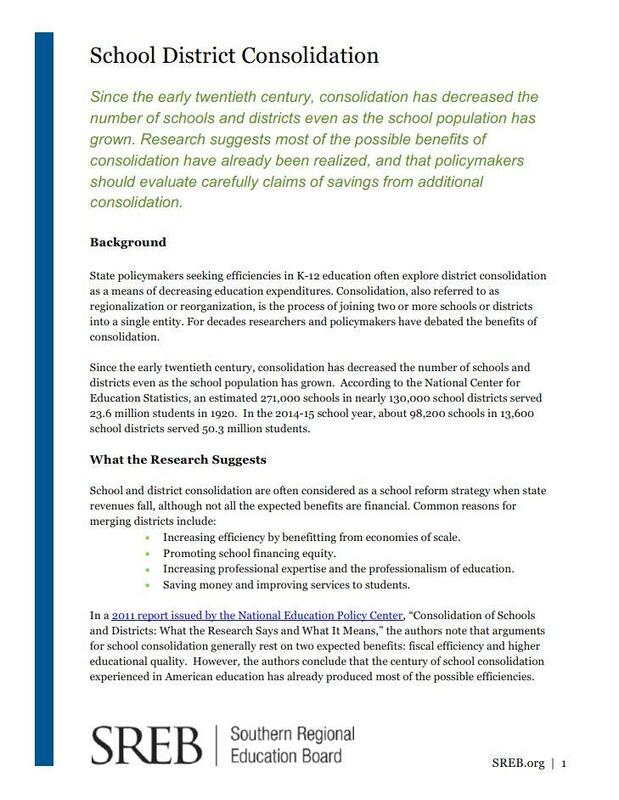 Notes from other SREB states. 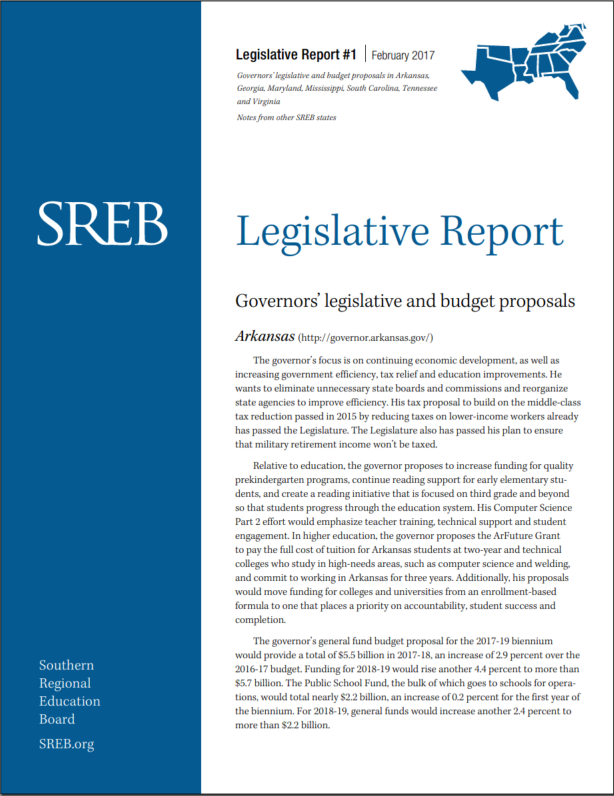 Governors’ legislative and budget proposals in Arkansas, Georgia, Maryland, Mississippi, South Carolina, Tennessee and Virginia. 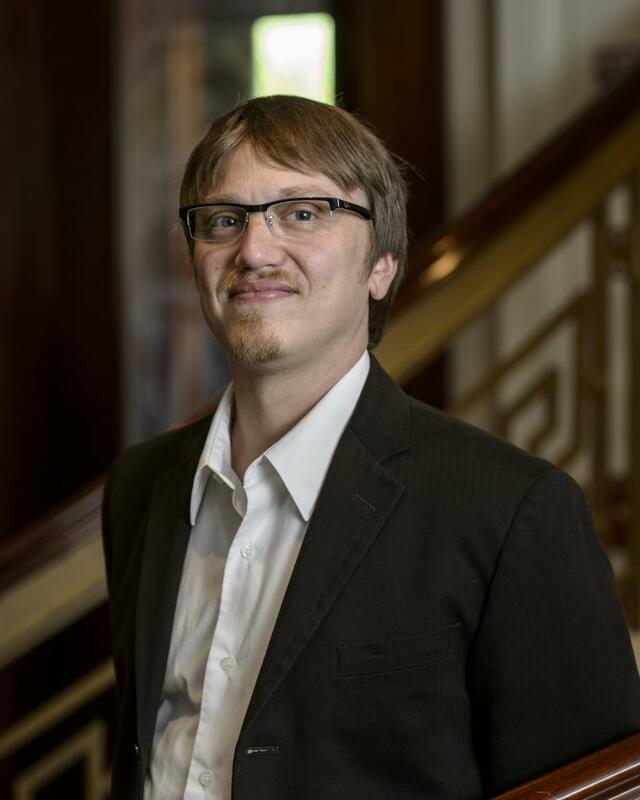 Notes from other SREB states. 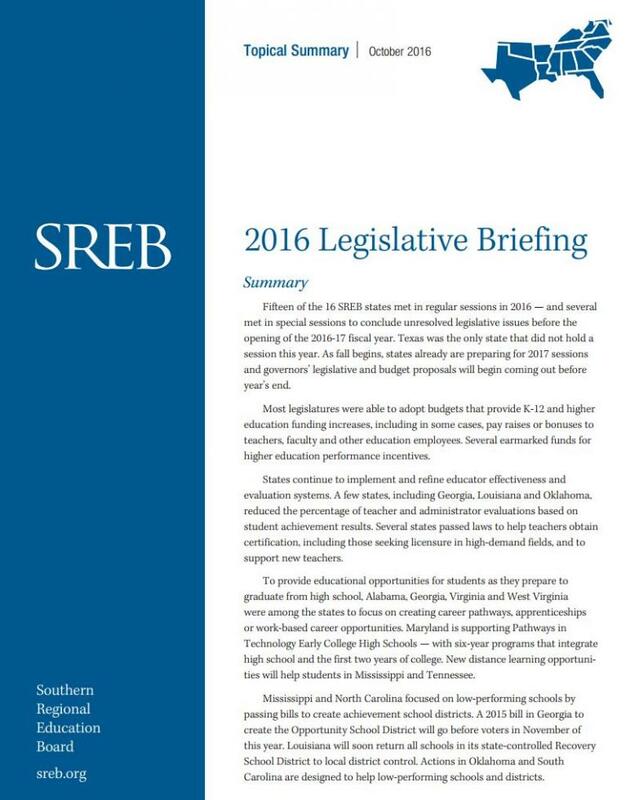 Topical summary of 2016 legislative actions in SREB states.